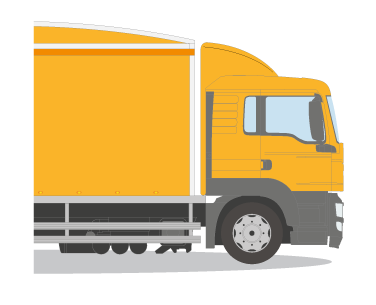 Bevan curtainside bodies are designed using the latest computer aided design (CAD) technology and manufactured to suit our customers' precise requirements. With options for curtain construction including buckleless systems, anti-slash mesh, wear bands and load restraint systems, as well as additional features such as our pre-stressed self supporting roof, Bevan offers the ultimate in load space versatility and accessibility. Our curtainside bodies are custom designed and are available in lengths from 3m to 10m, and for vehicles for 3.5 to 32 tonnes gvw, with any axle configuration. We offer many types of bespoke internal load restraints made specifically for the end users type of operation, from low heavy loads to bulky high loads. Each system is made in conjunction with the customer due to the numerous different challenges that the customers can face when securing their loads safely and easily. Customers seeking optimum payload capacities can also choose our lightweight aluminium curtainside body. Designed for vehicles up to 10 tonnes, the aluminium option can reduce body weights by up to 500kg. Safety is paramount when working on a vehicle bed and the Bevan Sky Hook system allows the driver to work safely when loading and unloading the vehicle. Bevan’s build quality is first class and turnaround times match their quality; we also rely on their aftercare service to maintain not only the bodies but also the tail-lifts. They provide a comprehensive service and are professional and accommodating people to do business with.